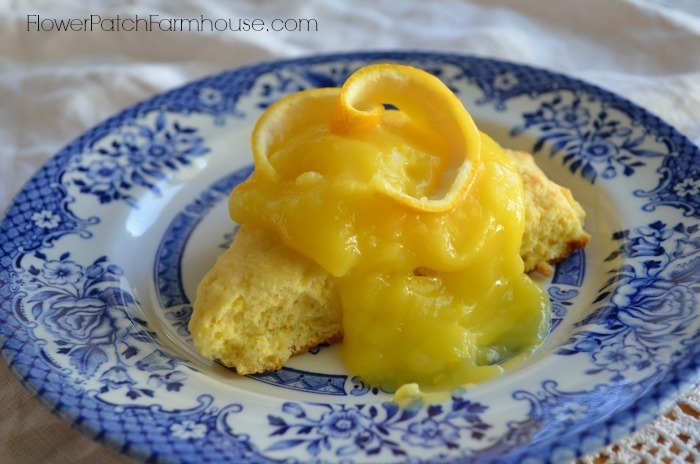 Super Easy Lemon Curd, a perfect topping for so many things and a fabulous topping for the best lemon scones. When life hands you a bunch of lemons…phooey on lemonade…. 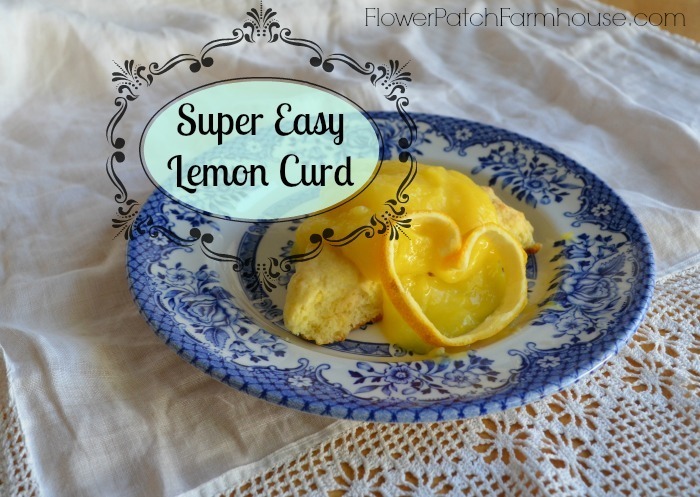 make an easy Lemon Curd! I have long wanted to try my hand at making lemon curd so when I was given a bag full of lemons picked from my sister in laws fabulous lemon tree just waiting to be made into something delicious I finally dove in and gave it a whirl. This recipe is easy and even better tasting than I had expected. I was going to top it with a perky little curl for the photographs but lemon peel refused to cooperate, it kept flopping instead of retaining its ringlet shape so I just went with it. Then I realized it was nearly in a heart shape. So I let it be a heart. After I took these photos we decided to include a dollop of of Crème Fraiche that added enough creaminess to balance it all out. A delightful quick and easy Lemon Curd recipe to serve as a topping or make lemon meringue pie with it. Mix together all ingredients in a large microwavable bowl. Microwave in 1 minute increments, it is important to stir well to keep mixing it together and prevent it from becoming grainy. Microwave temps differ, so when mixture begins to thicken, coats the back of a spoon it is done which can be between 4 mins and 10 mins. Be careful not to overcook. Some have noted that the egg whites would separate and come to the top during cooking. This is okay, it will just be a bit lumpy, no need to strain out. But if you want perfectly smooth curd do not melt the butter before hand instead cream softened butter, sugar and eggs with a hand mixer before adding the lemon juice. This 'denatures' the eggs so they do not tend to separate during cooking. Some have noted that the egg whites would separate and come to the top during cooking. This is okay, it will just be a bit lumpy, no need to strain out. But if you want perfectly smooth curd do not melt the butter before hand instead cream softened butter, sugar and eggs with a hand mixer before adding the lemon juice. This ‘denatures’ the eggs so they do not tend to separate during cooking. I have amended the recipe so this is added when you print it. The scone recipe is similar to this one Cherry Scones with a few changes. 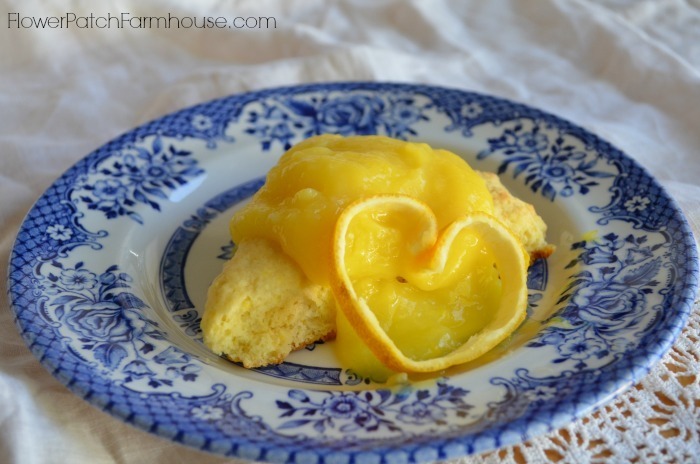 The recipe for the Best Lemon Scones is here. I’m not sure what I did wrong! Each time I put the lemon mixture back in the microwave for a minute, pieces of cooked egg white would be floating on the top. I stirred it well after removing the bits of egg. The melted butter was cool when I added it.